A cost-effective concrete tile that gives a slate-like appearance with all the benefits of modern interlocking tile design. 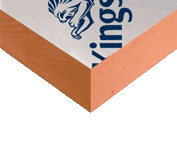 The design coupled with the low minimum pitch makes this tile a perfect choice for low pitched extensions or as an attractive main roof covering. 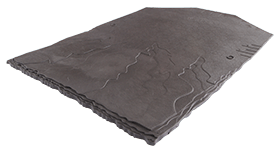 For use on extensions, the grey colours are a great option when matching in with natural slate on the main roof.